Google has issued warnings to journalists and other high-profile personalities following attempted account breaches from state-sponsored hackers. Google has issued warning banners to a number of high-profile journalists following attempts by government-sponsored hackers to steal vital login information, according to Politico. A number of prominent personalities in the field of journalism have reported receiving the red warning banner from Google quite recently. According to Google, the attempts by the hackers have been made within the last month, although there is no mention of whether the targeted journalists’ accounts have been successfully breached. The high-profile list of names includes journalists from The New York Times, New York Magazine, Vox, and The Atlantic, amongst others. 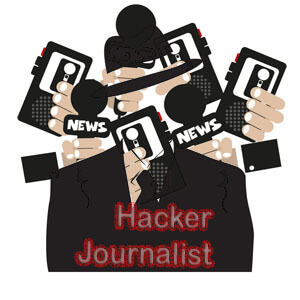 Although there is always the risk of getting the attention of hackers when you are a prominent figure, the journalists involved say that the attacks became more rampant during the period leading up to last year’s US Presidential election. The warning banner from Google only pops up after resourceful hackers have tried to pry open the users’ Gmail accounts. The banner redirects the user to a page that contains tips to better secure the targeted individual’s account. Some measures that are currently offered by Google include the use of security keys, two-factor authentication, or using Google’s Authenticator. Julia Ioffe, a journalist who has just recently begun working for The Atlantic, was one of the journalists targeted by the hackers. For most of her career, she has focused on covering Russia; she received her Google warnings about two weeks ago. New York Magazine’s Jonathan Chait says he was the recipient of several Google warning banners informing him that he was being targeted by government-backed hackers. He mentions that the warnings began streaming in shortly after the elections had been conducted, with the most recent one coming about three weeks ago. Chait’s case is special, however, seeing that he was later approached by an unidentified individual who offered to help him ward off the hackers by using encryption keys. The stranger was determined not to reveal his identity or meet with the journalist in person, however. It was later found out that similar help from an anonymous individual was offered to David Frum, Adam Serwer, James Fallows, Andrew Sullivan, and Dan Goodin, each working for their respective companies. Their primary target would be to search for any emails that could be used to embarrass or expose the journalists. Vox founder Ezra Klein is also another recipient of the Google warning banner as of a few days ago. He is joined in the growing list of warned journalists by CNN’s Brian Stelter, a senior media reporter who has been getting the warning notifications for the last few months. Keith Olbermann, a GQ special contributor, says his warnings began to appear a few weeks after the conclusion of last year’s US presidential election. Other journalists who were welcomed to their Gmail accounts with Google’s bright red warning banner include New York Times’ national security correspondent David Sanger, columnist Paul Krugman, and Garance Franke-Ruta, the bureau chief at Yahoo Washington. The hackers also targeted Stanford professor Michael McFaul, who also happens to be the former Russian ambassador; he was convinced that the hackers were Russian. Although no definite identification has been availed as of yet, there is a high chance that the hackers could be Russian or affiliated with the Russian government in one way or another.Their primary target would be to search for any emails that could be used to embarrass or expose the journalists. Similar to the mysterious wave of hackings experienced by Democrat party members in the course of the elections, some of the journalists had predicted that they would be next on the list of the government-sponsored hackers. One journalist is particularly fearful of the outcome, especially since any incriminating email can be weaponized against them. If the hackers manage to get their hands on incriminating and compelling evidence, they will be able to arm-twist the journalists into doing their bidding or ultimately deface and destroy the reputation of said journalists. 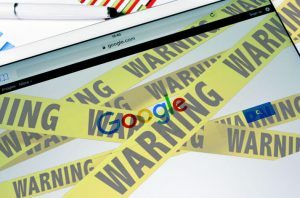 Google has been using the red warning banner since 2012 to warn accounts that were targeted by state-sponsored hackers. 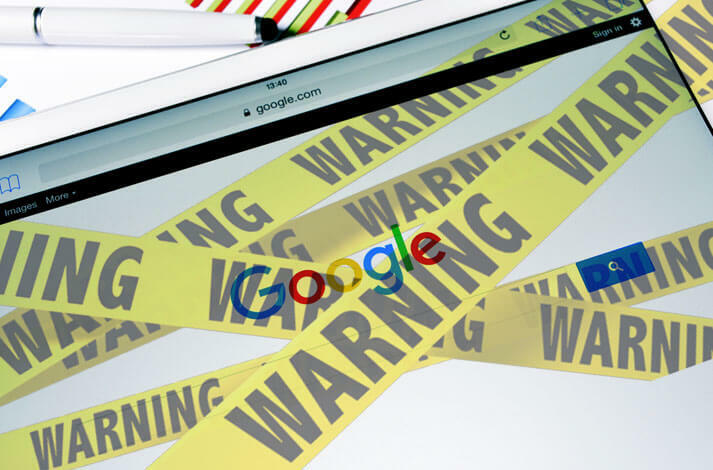 In a statement, a Google spokesperson explained that the use of the red warning banner did not necessarily mean that an account had been breached by hackers. Rather, it only served as a cautionary device to prompt the account owners to change their login credentials.